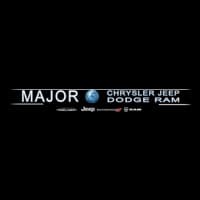 You Are Here: Home > About Us > Why Buy From Major World Chrysler Dodge Jeep® RAM? New York residents are used to having plenty of shopping options. It’s the natural byproduct of a life in The City that Never Sleeps. So, when surrounded by all the car dealerships in the tri-state area, why do so many New Yorkers flock to Major World Chrysler Dodge Jeep® RAM? It’s simple: our Long Island City Chrysler dealership offers our clientele a one-of-a-kind World-Class Shopping Experience and the latest new 2018 cars like the new 2018 Jeep Wrangler JK! Our reputation sets us apart from the pack: honesty, integrity and reliability are the three characteristics we value over all else, and customers appreciate our dedication. Just check out our five-star reviews for proof! And if it’s variety you’re seeking, you found it from the RAM 1500 to the Jeep Cherokee, you can find a vehicle to meet your needs. Looking for a new model to use as an Uber car? We’ve got you covered! You’ll find over 1000 vehicles at our Manhattan area Dodge dealership, with over 400 vehicles on display in our showroom alone and in a variety of the latest Chrysler, Dodge, Jeep, and RAM models — it’s the largest indoor showroom in the New York area! But at the end of the day, the shopping experience is the most important factor, and customer satisfaction is our highest priority. That’s why our certified, highly trained and multilingual sales staff provides our customers with all the information they’ll need to make the right decisions for the right new vehicle for sale in New York. And we also boast a dedicated after-sales customer service team committed to meeting customer needs, well after their vehicle has been delivered. With all of the above, plus free Wi-Fi, a state-of-the-art auto service center, transportation services directly to and from your residence and extended weekday hours for working customers, it’s easy to see why our Jeep dealership near Queens, NY is so popular. But words are one thing, and action is another — find out for yourself when you visit Major World Chrysler Dodge Jeep RAM at 50-30 Northern Blvd in Long Island City, NY! We are open seven days a week and our Bronx area dealership is easily accessible by all modes of public transportation.